Someone had to say it so I figure why not me. Not a day goes by in which I don’t see a so-called marketing expert overuse and even worse, misuse hashtags on the Web. It happens most often on Twitter but recently, both Facebook and Google+ started using hashtags as well, so the same principles apply there. People really hate when you tell them how to tweet, and rightfully so. Twitter is an open platform (or it used to be, but that is a topic for another time.) that entails writing a message of 140 characters max, and there are no rule books, so who made you the authority on Twitter? All that is fine and true, but anyone who spends a lot of time on Twitter can attest to the fact that at least 90% of the points mentioned below annoy the heck out of them. By the way, if you are new to Twitter or don’t get what all the hype is about, see the Web’s most comprehensive “Twitter guide” written by yours truly, at Everything You Need to Know about Twitter and Tweeting. First One on One, and Only Then One to Many! 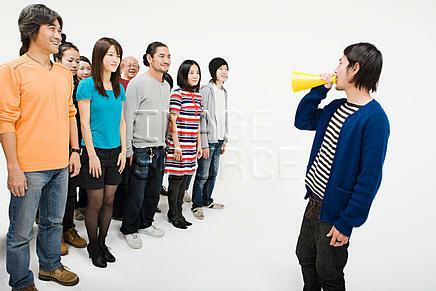 The way Twitter was built and engineered enables one person to communicate with many (followers). Except, when you sign up for a Twitter account, it doesn’t come with 10,000 preinstalled followers, nor is there any magic trick to achieving those numbers. You want to talk to many people at once? Try talking to one at a time first. If I had a dime for every company that asked me “How do I get more followers?” or “Can you or someone you know give my product a shoutout so we can go viral?”, I would personally have enough money to send all those people to an extensive course on marketing. That is not how it works! There are no shortcuts and there are not supposed to be. Want a lot of followers? Find interesting people, follow them, and then comes the difficult part. You sitting down? Talk to them. Yes, engage in conversation. No, not conversation that involves shameless plugs, just regular conversation. You know, the kind of conversation you would participate in in real life when meeting someone for the first time and building up a relationship. Do that and you will not only get that person to follow (assuming the conversation is somewhat interesting and relevant), but that person’s followers might see your conversation and find it interesting as well, and your conversation might also come up in search so others might find you and follow. The point is, don’t think numbers, think people. In continuation of the previous point, once you get those followers you so eagerly wanted, remember that they are listening. Don’t start tweeting things you think will get you more followers and ignore the people who already jumped on board. You will lose them. Yes, Twitter is public and anyone can see your tweets. That means if there is an event that many people are following, tweeting with that event hashtag might get you some new followers. If you think spamming your followers with ten hashtags per tweet will get you far, you are in for a very big surprise. There is RSS and There is Twitter. Whatever your opinion of RSS feeds/readers is, you need to understand that if your Twitter feed is a glorified RSS feed with link after link and no added value of your own, then you are in essence competing with Google Reader. Good luck with that. Sharing interesting content is important and even crucial to succeed on Twitter (assuming your definition of success is building up an engaged audience/community. If not, you can close this post right now.) but if you are not adding your own touch, then what exactly are you offering people in exchange for clicking that Follow button? Share content but add a comment to your tweet with your take on the matter. Or tag the author and give him/her your feedback. Do not just share link after link because, well, that is boring and unnecessary when there are countless apps that do the same thing. If you are trying to promote something, Twitter is a very very effective tool. After all, things have known to go viral on Twitter, right? Well, contrary to popular belief, the difficulty of doing PR of any kind on Twitter is not finding the right people or doing the outreach. Why not illustrate this point with an example? If your Twitter bio says the words “PR”, “Marketing”, “Evangelist”, or anything else that implies the need for press coverage or exposure, then when reaching out to journalists/influencers, they are reading you like an open book. They know that when you tweet them about the product, you are doing your job and they are therefore more hesitant to respond than if it was just some random person recommending the very same product. Well, many PR folks get this so what do they do? Well, they start by making an assumption that the very same journalist/influencer is either blind or very very unintelligent. If you think that writing one tweet to a journalist NOT about your product and upon getting a response, pitching your product, solves your problem, you are very wrong. No one is falling for this. When people say build a relationship, that does not mean send one non promotional tweet, then promote the heck out of yourself. It means the same thing it means offline. Build trust, a connection, a reason that person should take any interest in you and after that is done, there is nothing wrong with sharing what you’re working on. But the big challenge in doing PR on Twitter is not outreach, it is the time spent building the relationship needed to make that outreach effective. No really, you (and when I say “you”, I mean every human being on the planet) should have figured this out on your own. Unfortunately, that is not the case for many people. Do not use Twitter to offend others. Furthermore, do not say things that will offend people, even if that was not your intention. I am not implying that you should censor your thoughts, but it is important that you remember just how public Twitter (and the web in general) is. In conclusion, I will say that it is true, there are no real rules to Twitter. Having said that, there are things that annoy many people and there are things that help you achieve your goals faster. If I had to sum up all the above points in one sentence, I would say “Act online as you would offline and do not do online what you would not do offline”. If you want some other ideas of what annoys people on Twitter, take a look at my tweet below and the responses it got by clicking the date and time I tweeted it. Hypothetically speaking, if someone were writing a blog post about annoying things people do on Twitter, what would u tell them to include? Not sure if you heard yet but Twitter invited pretty much every single blogger (well almost) to their headquarters yesterday for an announcement. There was a lot of speculation about what they were going to announce, but I don’t think anyone hit the jackpot. This post is going to be a little different. Over the past two years, ever since I joined Twitter (Follow me here), I, along with many people I know, have had a lot of questions about the micro blogging service. I have tried to cover the topic from all possible angles, and when I am asked about Twitter, I generally send the person asking an email with a whole long list of links to posts I have written. 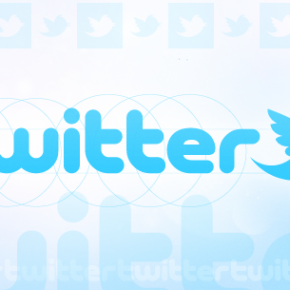 By now, you have definitely heard of the viral micro blogging service called Twitter. Some will say it has reached the masses, while others will say it is still not mainstream. Whatever you think about Twitter, there is no denying that it has become part of regular people’s conversations all around the globe. While Twitter is growing at rates that are unprecedented and actually pretty insane, statistics show that a very high percentage of people join Twitter, send out one or two tweets saying things like “OK, now what do I do?” or “Joined Twitter, I don’t get the point”, then never log in again. Here I was, thinking I knew everything there was to know about Twitter (follow me here), and a short private conversation I had yesterday changes it all. Let me back up a little. It is no secret that I am a big sucker for new shiny mobile devices, so when Dell announced that they are entering the new tablet market, I was of course very excited. All the tech sites were reporting that Dell was releasing their 5 inch mobile phone/tablet device dubbed the Dell Streak and that it would be available in the US unlocked for $500. One of the big questions on the minds of new Twitter users is “How do I find people to follow?” The question is pretty simple and straight forward, the answer a little less. In reality, there are many resources available to find interesting people to follow on Twitter. These include online directories, such as Wefollow, Twitter lists, people your friends follow, and many more. 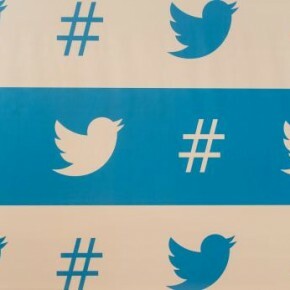 Twitter usage on mobile phones is exploding in popularity. According to comScore, Twitter usage over mobile has grown almost 350% in the last year alone. Unsurprisingly, mobile Twitter apps have begun sprouting up like mushrooms. With so many choices, it can be confusing to figure out which Twitter app is best for you and your phone. To get you sorted, we’ve put together a list of our top 5 favorite mobile Twitter apps. Been on Twitter for a year and a half now, and contrary to what people seem to think, the “phase” does not look like it is passing any time soon. Twitter still manages to amaze me with its unprecedented effectiveness as a networking tool and information source. I am constantly meeting interesting people I would never have crossed paths with had it not been for Twitter and I also spend a lot less time reading RSS feeds and news sites since all that information comes from my Twitter stream. As some of you might know, I am a huge fan of Alyssa Milano on Twitter. No, I am not the crazy fan type of Hollywood celebs, I follow her because she is very active on Twitter, and contrary to 90% of people on Twitter, she actually gets what it is about. She communicates regularly with her fans, and sometimes even follows them back, which she did in my case. I am not sure what I did to warrant that, but I WILL tell you that DMing with Alyssa Milano after growing up on Who’s the Boss is kinda crazy.